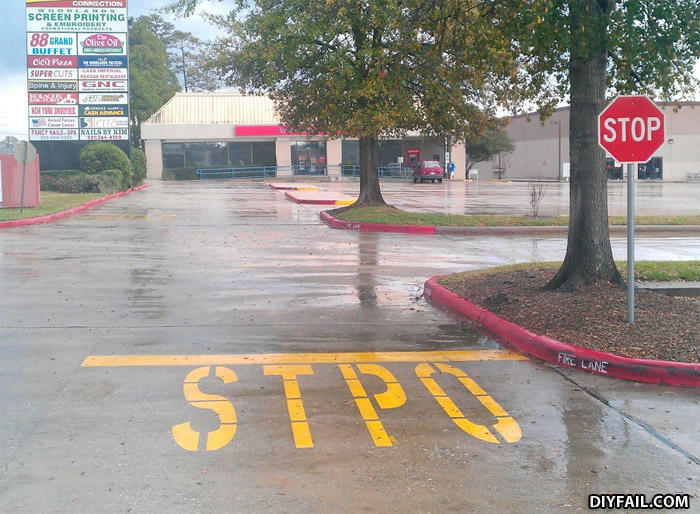 Hey, the STPO sign is spelled wrong! You know this had to be a Mexican street painting crew! STPO = Stop on this Spot!